The developer of the upcoming RPG - BioWare company - continues publishing some new Dragon Age: Inquisition details on the official project’s blog, and we are pleased to share this fresh information with you. Thus, yesterday a screenshot, on which the new Dragon Age: Inquisition location is depicted, appeared. The land is called The Exalted Plains of Dales. According to the BioWare’s team, this Dragon Age: Inquisition location is famous not only for its indescribable beauty, but also for the bloody combats that took place on this territory. Many centuries ago the whole elven nation died here, while fighting against the human army of Inquisition and defending its land to the last breath. However, despite the fact that the battle was finished, the new war between different factions broke out on the Exalted Plains. Besides the screenshot, several days ago the developers also shared some fresh Dragon Age: Inquisition details. The project’s executive producer - Mark Darrah - told the users about the number of the endings in the upcoming RPG. Darrah mentioned that each epilogue will have hundreds of minor variations of the final, which will be based on the players’ decisions. However, the game itself will get about 40 major versions of the ending. Let us remind you that the release of the third part in the Dragon Age game series is planned for this autumn on PC, current and next-gen consoles. 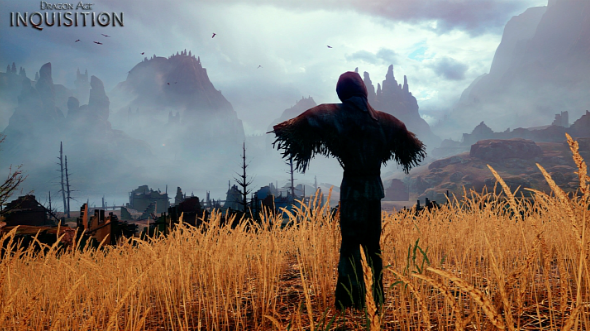 So, did you like the new Dragon Age: Inquisition location? What do you think about such amount of this RPG’s endings?